British Airways is a full-service global airline, offering an extensive global route network flying to and from centrally-located airports. 2019 is British Airways centenary. for celebrating the past and for looking to the future as an airline that proudly embraces the best of modern Britain. British creativity, diversity, style, wit and warmth are the same special qualities that make British Airways who they are. British Airways' unique style meets advanced technology applied by the Mogul group. The ad-hoc e-learning platform makes it easy to identify with the company. 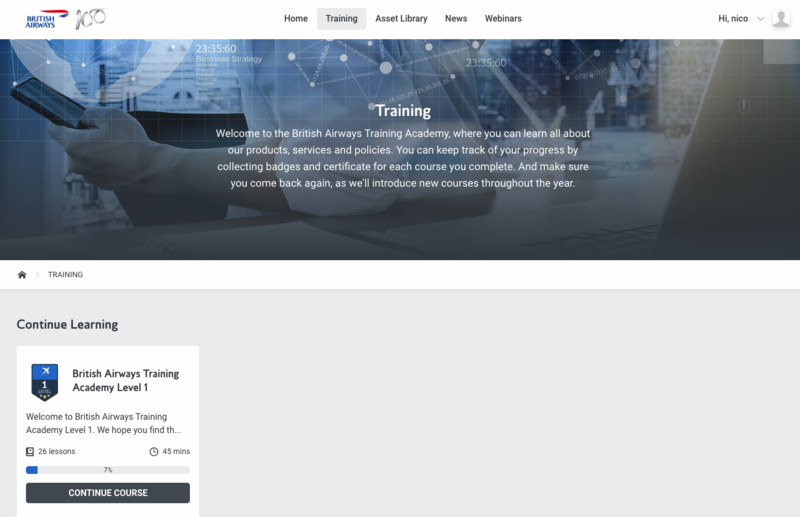 At the same time, lesson templates allow registered users to view and study in detail the company's history, strategic partners and the exterior and interior of the cabins. All made easy to understand. The platform was created with ease of use in mind, both on large screens and on mobile, and designed to allow the user who uses it to learn as much as possible in the shortest time. 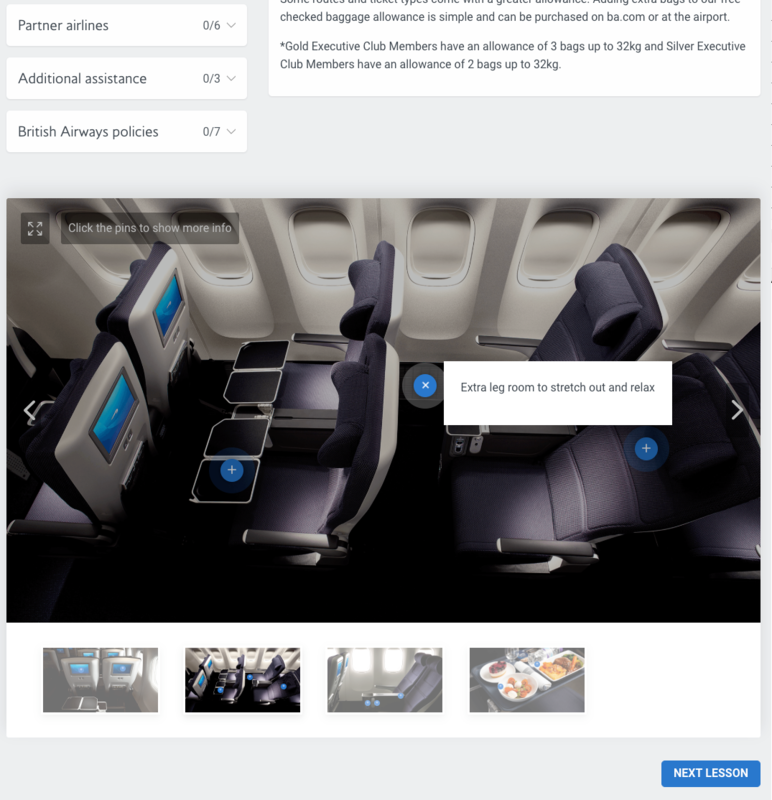 The use of British Airways-specific lesson templates, a view that matches the theme of the mother site and Mogul's personal touch has made the platform a showcase for the two companies.